Any mower races in Seattle, WA??? 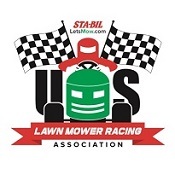 Topic: Any mower races in Seattle, WA??? Re: Any mower races in Seattle, WA??? There's a few races here in chilliwack B.C Canada( Fraser valley Lawnmower racing club)Facebook). 20 minutes from border. Sportsman Grass car racing ( Facebook)in Wamic Oragon and is about 4.5 hours from you and that's we're me and my buddy are racing. What class are you running in? Were making 3 of there races this year and is 9 hrs one way to get there. Very fast smooth track.